More and more beauty industry growth is being powered by the fields of science and technology, using broader innovations to create and promote new and exciting beauty products. Even though new products are always emerging, there are often only a few ingredients that seem to be a catalyst for future innovation and will withstand the test of time. Naturally sourced DermaFix ingredients, such as plant stem cells, elicit a variety of functional benefits that maintain, protect and renew the skin. Plant stem cells are part of the new natural actives and promote dermal (skin) stem cell health. The dermal stem cells have the ability to differentiate into fibroblasts that produce collagen and elastin proteins which are essential for skin elasticity and resilience. DermaFix uses PhytoCellTecTM Malus Domestica (also known as Apple Stem Cells) derived from the stem cells of a rare apple tree cultivated for its extraordinary longevity and shows a tremendous ability to rejuvenate ageing skin. Apple Stem Cells are found in the following DermaFix Anti-ageing products: Ceramide Complex with DMAE, PowerDerm and Corrective Eye Complex. DermaFix ingredients that needs no introduction within the skincare market is retinol (vitamin A). It has been used for years as an anti-ageing ingredient to improve facial tone and texture. With the growing attraction for more consumer skin friendly ingredients, came the introduction of Retinyl Propionate (Vitamin A Propionate). Vitamin A Propionate is slightly more effective than retinol in alleviating fine lines and wrinkles, acne and hyperpigmentation without the retinoid induced irritation often associated with using high doses of Vitamin A.
DermaFix Vitamin A Propionate supplies your skin with a healthy dose of Vitamin A, helping with rejuvenation of the skin and improving the appearance of wrinkles and dark spots. This lightweight formula is ideal for all skin types including dry, sensitive and acne-prone. Also promotes firmness, elasticity and a brighter complexion over time. A new trend is using elements of the body’s own bioelect­ricity and DNA. These are now being used as a powerful treatment to help preserve cells under conditions of stress, obesity, smoking and UVB damage. DermaFix DNA Protection with Telosense is a DNA Correction and Repair Product. Bio-functional Telomere Science makes it possible to introduce the enzyme telomerase into the healthy human dermal fibroblasts – the cells that make collagen and elastin. DNA Protection with Telosense protects at cellular level, on any skin type from age 25 onwards, by targeting the signs of cellular ageing and the appearance of wrinkles. Anti-ageing remedies will continue to be popular, as will other products that enhance wellness and appearance. 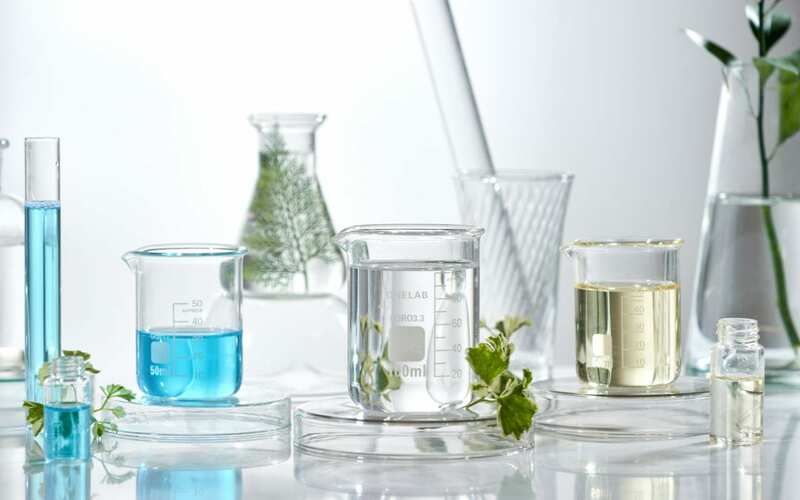 ‘Natural’ remains a main prerequisite, as it relays confidence that the product is safe for use and has some environmentally-friendly credentials. Regardless of which ingredients are hot on the market, DermaFix will ensure that the future of its products will blend innovative technologies, as well as using natural ingredients as far as possible for awe-inspiring results.